Do You Need Help with Your Object Oriented Programming PHP Assignment? 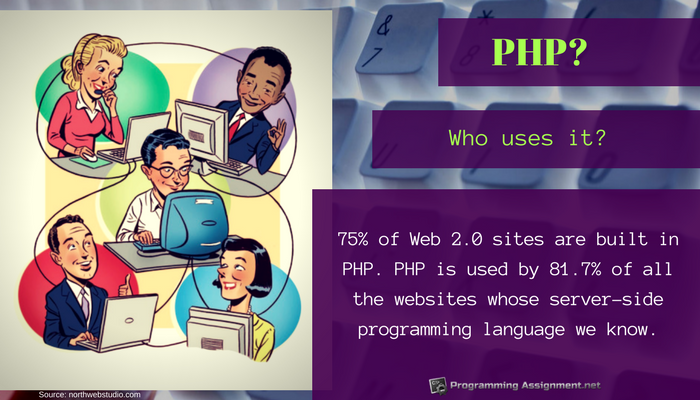 With PHP used within some 82% of all sites according to W3Techs there is a real need to understand how PHP works. But with a drive by the search engines to promote those sites with faster loading speeds there is a real need to be able to make your coding sleek and efficient. One way to do this is by looking at object oriented PHP programming. Traditional programming looks at a program as basically a logical process through which an input is taken, processed and an output produced. 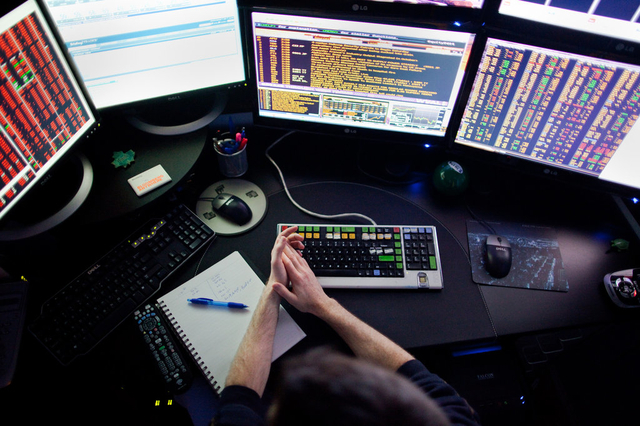 Object oriented programming, however, takes a different approach and will organize around objects and data. So; the first step with OOP is to identify all of the objects that require manipulation and see exactly how they relate to each other; this is data modeling. The classes formed can be used not just by this specific program but also by other object oriented programs making them far more flexible. But, of course, if you are studying PHP advanced and object oriented programming you will need to know far more than what it is. You will need to be able to apply the coding to solve real world problems as part of your assignments. You might be wondering how you will ensure that your assignments are going to get you the results that you need. The following section will provide you with all of the guidance that you need to be able to answer any OOP PHP homework that you are assigned to do. Don’t sleep in class; this is where you will get the bulk of the information that you need for learning PHP and object oriented programming so pay attention. Do all of the reading that your tutor suggests and ensure that you understand it not just skim the books. Get into a clear routine for doing your studying and assignments. Set a defined time every day during which you will do your work. Don’t procrastinate with your programming homework; this is one area in which it is always best to get to work as soon as the assignment is set rather than leaving it until the last minute. Have a place that is totally free of all distractions in which to do your homework. Turn off your phone and stay away from social media. Read your assignment several times to ensure that you are clear about what is expected; if you are not fully sure what to do ask your tutor. Create an outline for what you will do; this does not have to be overly complex, nor does it have to take a long time. But it will save you a lot of time later. Make sure that your keep a regular backup of your work on a flash drive. Use some samples f.e. what is thread in java with example to get ideas about how to write your PHP code, but do not just simply copy them. Work with a study group or partner to share ideas and solutions, but never copy. Test your code very carefully to make sure that it works in all situations. Proofread your writing carefully to eliminate all possible errors. “Following good practices is a good thing, but you should always have a good idea about what you are doing and why you are doing it, so you can be in full control of your life. The PHP is a server side language so it will not directly open in your browser. It means that your PHP is opened on the server before the results will be sent to the browser. To view PHP files through your web browser, make a folder on your website. You should protect it with a password. Upload the PHP files. After that, you can view the PHP in your browser. If you want to show it on your website, it is necessary that it is PHP supported (you can read more programming solutions if that’s the case). Contact your hosting company to learn how. If the host still does not support the files, it is a problem. You can manually install it for your use. The PHP may not show correctly or it will never show. This may happen because of the PHP code. Either if the code is not correct or not compatible with your browser. You can also save the file on the web as .phps. Now, you are ready to view your files in the browser. Just follow the above guidelines to successfully display your PHP in your web page. You can check programming questions and answers and find any programming solutions you need with our help. Several methods to create a line break in PHP can be used. But a user can alter their browser’s font size, it is advisable to use the CSS to set up the containers if the texts are wrapped. You can also include a single line text on the site. You will redo and change some of your web pages, but it will help you more to make a better website. You should add line breaks while eliminating these on the database, instead of doing it during adding the texts. You can easily discover more about programming questions and answers to improve your programming skills. The (\n) is the line break. It is important to print or echo\n in double quotes while it can be condensed accurately as \n. Now, you can work on creating your line break in PHP. Practice consistently and you’ll surely work adding a line break flawlessly. You can check programming questions and answers and find any programming solutions you need with our help. Contact our services for highly affordable programming assignment help for your object oriented programming PHP assignment! ← What Is Scanf and Printf used for in C Programming?